Follow the traditions of Cupid’s Holiday and order Valentine's Day Flowers n Chocolates for your beloved, online with MyFlowerApp. 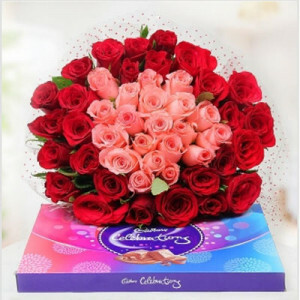 Order gorgeous red roses, orchids, gerberas, carnations, and more along with Ferrero Rocher, Cadbury, Dairy Milk, etc. 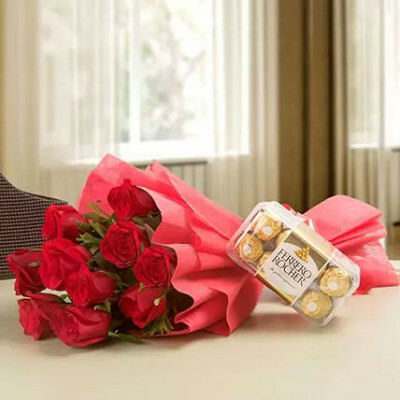 and get them delivered anywhere. 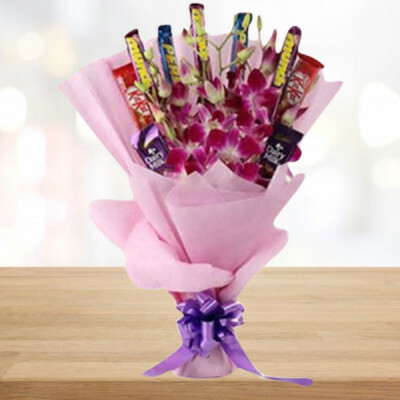 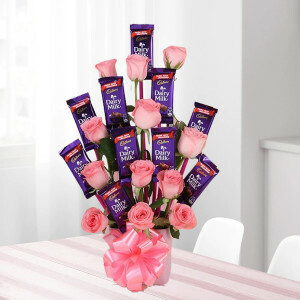 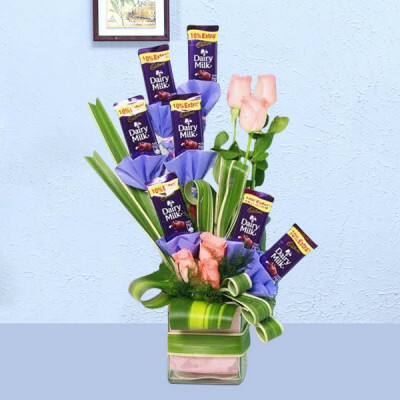 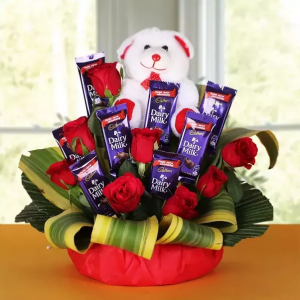 A glass vase arrangement of red and white roses decorated with Cadbury dairy milk and five-star chocolates. 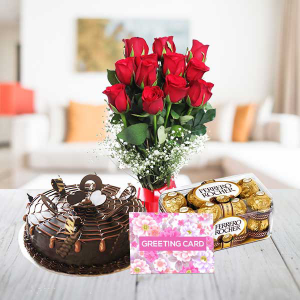 This attractive combo bunch is an appearance of love, concern, and friendliness. It is an amazing bunch of 5 Red, 4 yellow & 4 white Roses in cellophane packing with matching ribbon bow with 2 Cadbury Dairy milk chocolates. 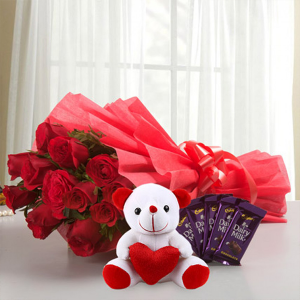 It is surely going to bring lots of love in the life of your dear ones. 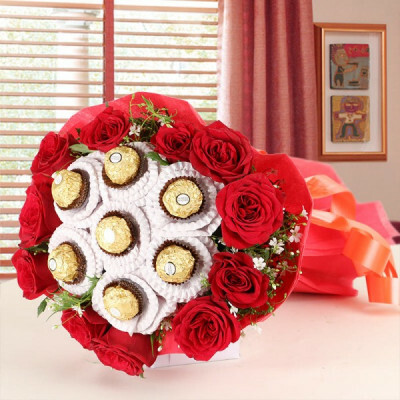 24 Red and White Roses with a box of 16 pieces Ferrero Rocher chocolates.and Card. 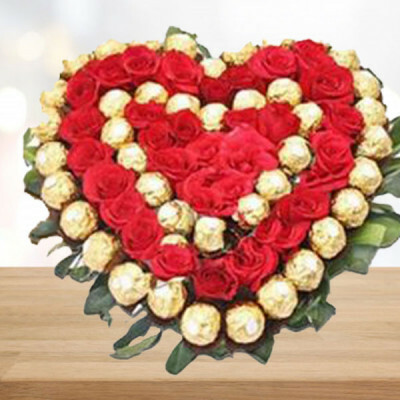 The best love is the kind that awakens the soul and makes us reach for more, that plants a fire in our hearts and brings peace to our minds. When you find such a love, you hang on to it. 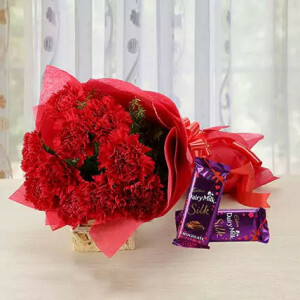 Use the opportunity to express your emotions for your lover and send Valentine's Day Flowers N Chocolates to them, with MyFlowerApp. Nothing says ‘I Love You’ better than romantic flowers like roses and red carnations, and delish chocolates. 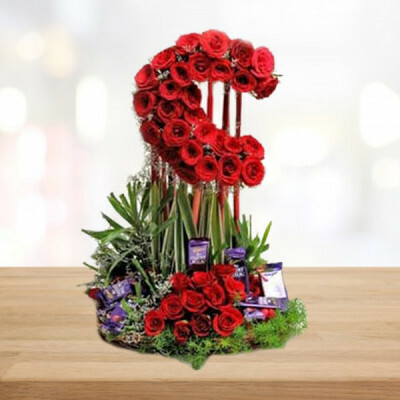 If you want to do something different from the standard red roses, you can always go with orchids, red carnations, or any other arrangement from our Valentines Flowers range. 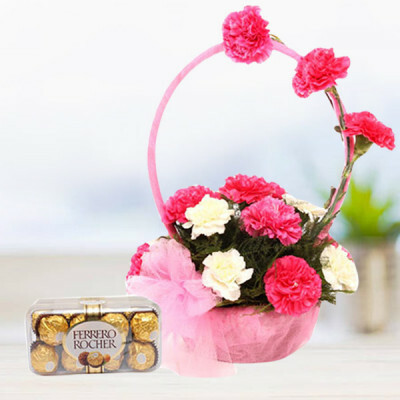 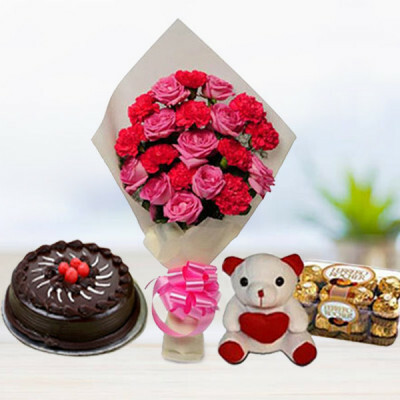 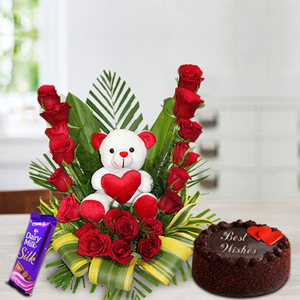 Rekindle the romance between you, or propose to your object of desire with online delivery of gift hampers containing their favorite chocolates, cake, flowers, teddy bears, and more. 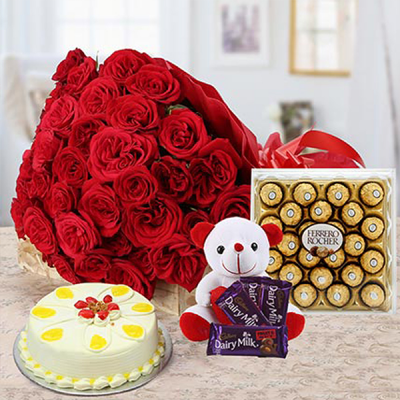 Celebrate your love with your special person on this important day by sending them all their favorite things online. 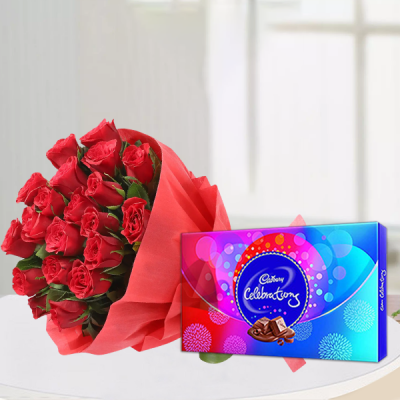 Let MyFlowerApp be your Cupid this Valentines. 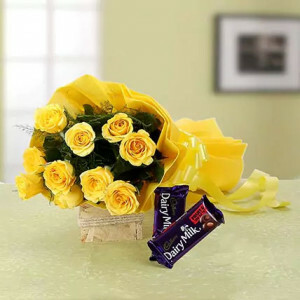 Send glorious combos of Flowers n chocolates and more, anywhere in India, with our trusted delivery services. 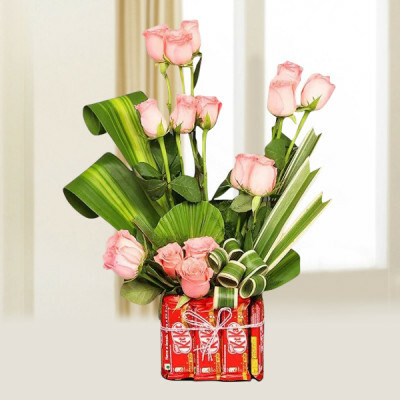 Shipping is free all around the country and we will deliver within 3 hours, if need be, with our express delivery. 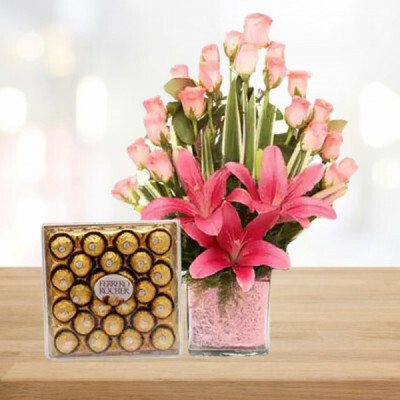 For an added surprise element to your present, you can also opt for midnight delivery or same day delivery. Whatever you choose, MyFlowerApp will provide only the best, with professional and on-time delivery. Do not let the year pass you by. 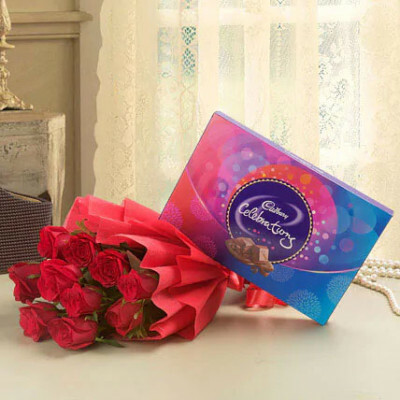 This Valentine’s Day, whether the love of your life is beside you, or somewhere far away, cherish your love together. 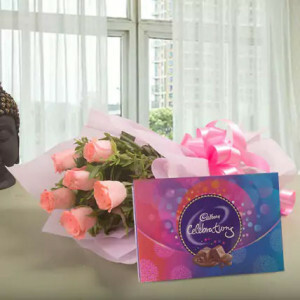 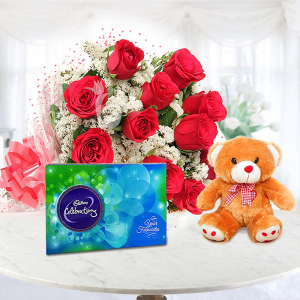 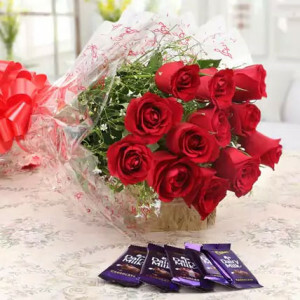 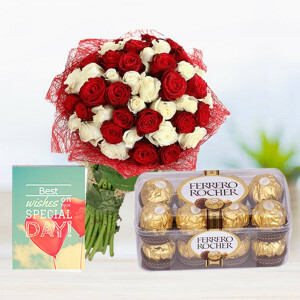 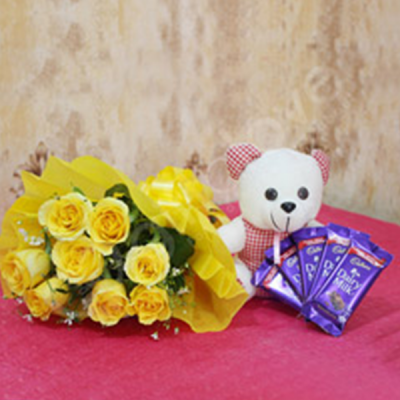 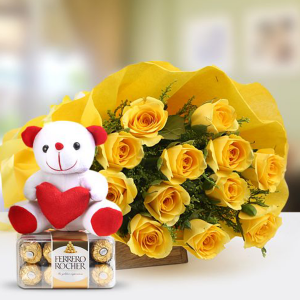 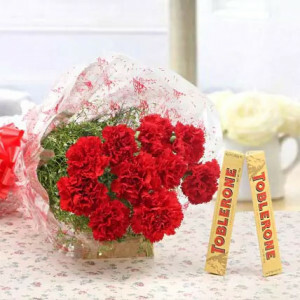 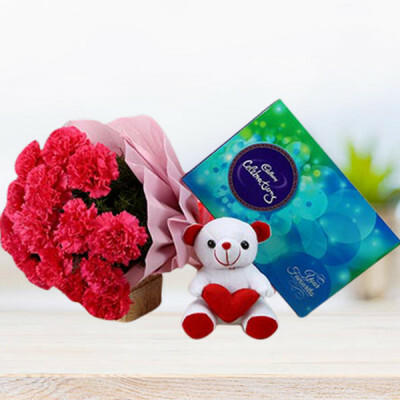 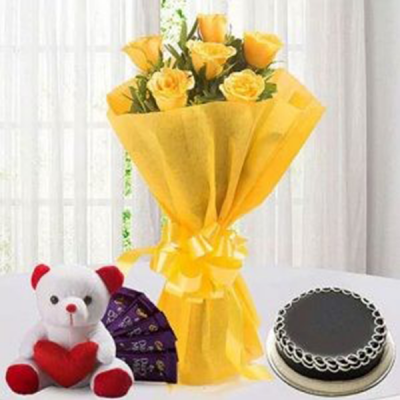 Get delivery of their favorite flowers n chocolates, along with other gifts they will love, with MyFlowerApp. 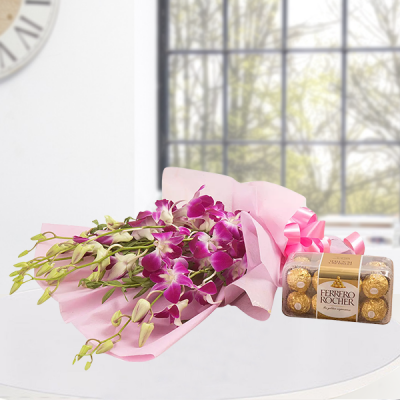 We will deliver them, anywhere in India, including major cities like Delhi, Mumbai, Kolkata, Bangalore, Pune, Chennai, Hyderabad, and Gurgaon. 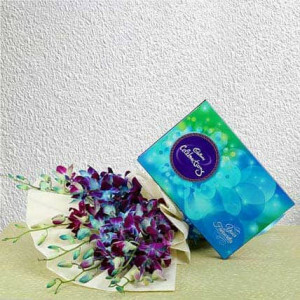 Additionally, we cater to numerous other countries as well. 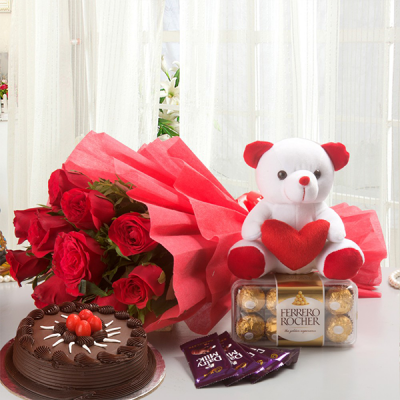 So simply select your darling’s favorite combo, from our notable repertoire and send them with much love. 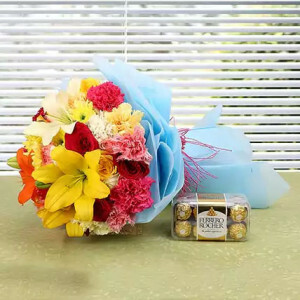 We cater to Sweden, Australia, United Kingdom, Canada, Singapore, Malaysia, Germany, France, South Africa, United Arab Emirates, United States, and more.